I hope you enjoyed Rosa’s interview last week? 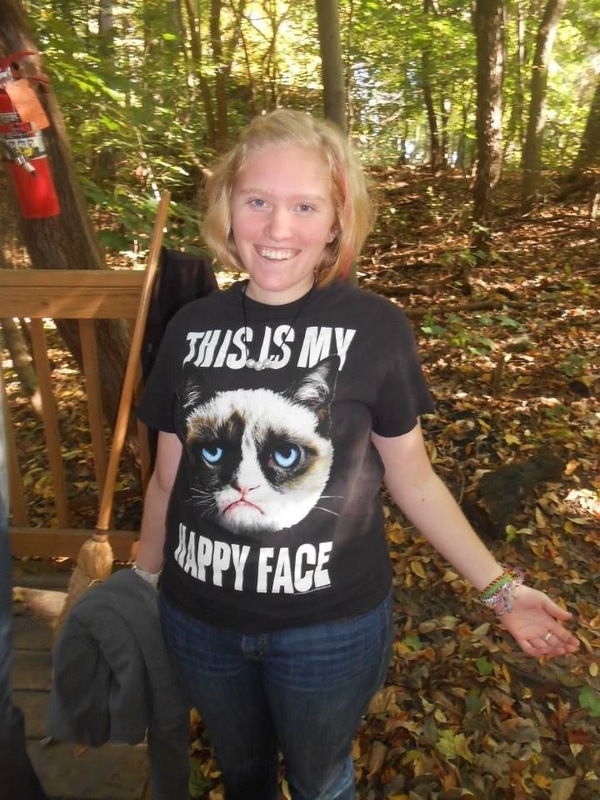 This week it’s the turn of Libby of @Campplife, who is coming up to her 9th summer spent at camp! I have been attending Camp Tannadoonah in Southern Michigan for what will be 9 summers now! I started as a camper, and 5 years later I completed our CIT program and spent the last weeks working in the kitchen for my first summer on staff. I have been a counselor for 2 years now and am ready and excited for my 3rd summer as a counselor to make my total camp years at 9! It’s crazy how time flies! 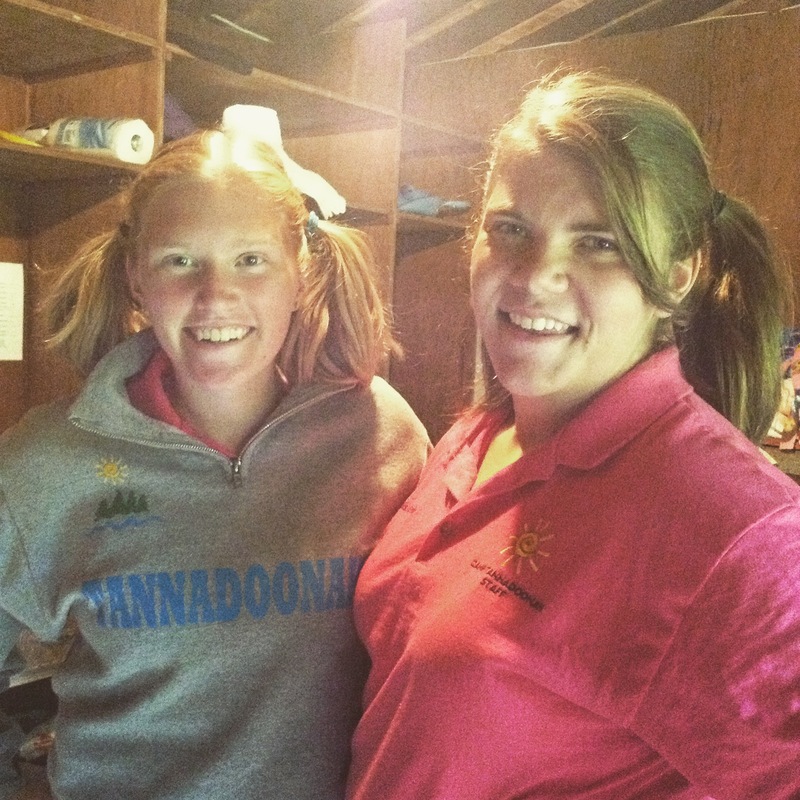 I decided to work at camp because I couldn’t leave my home. I wanted to stay longer each summer and being on staff meant I could do that. I also wanted other kids to be able to experience the ‘magic’ of camp that I had been able to experience over my many summers at Tannadoonah. At my camp I am a cabin counselor/superhero (kidding about that last part… slightly). During the day I teach different activities, usually Low Ropes and Photography, to campers of all ages. Then at night I live in a cabin with around 9 girls and my co-counselors! Those are just the basic parts of being a cabin counselor. 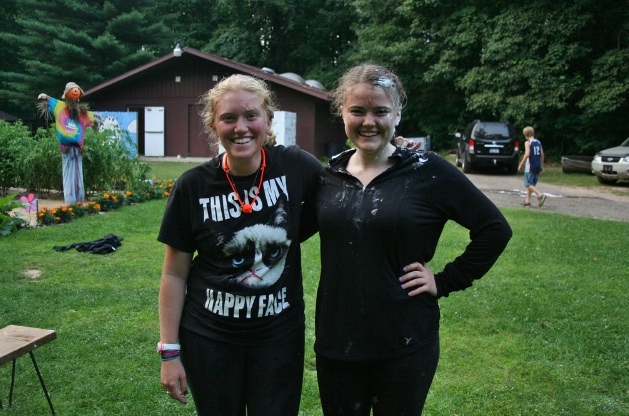 As any counselor can relate, you do many unusual things as a camp counselor, too many to name! To say camp met my expectations is an understatement. My first summer, 9 summers ago, I experiences a bit of homesickness midweek. I pulled through it with the help of awesome counselors and my friends. It was everything I could have asked for. The next summer I went back and was so happy to be back that I didn’t want to leave at the end of the week. Each summer you worry that it won;t be as good as the last one, but each year you are surprised and camp is even better somehow! Camp each summer continues to meet my expectations in ways I can’t wrap my head around, but it just does! My most essential item, as crazy as it might be, would be my crocs. Those pieces of plastic have saved my life on more than one occasion! They are perfect to wear walking around camp, through mud, down to the lake, and are PERFECT for using in the shower house! I would never go to camp without them and, to be honest, I have more than one pair, and people tend to want to borrow my other pair when their tennis shoes are soaking wet and dirty haha! You need 2 more! Secondly I would never go without my camp shirt(s)! They are a staple in my wardrobe along with my crocs and socks of course! The third thing I would bring is friendship string! Both counselors and campers (sometimes the counselors more) love friendship bracelets and you will find yourself making more bracelets than you will want to admit during the summer! As cliche as it sounds, I have way to many camp memories to choose just one. So I think I will say my best camp memory is seeing all the smiles on my camper’s faces throughout the week, especially on Saturday morning when they don’t want to leave camp. it just reminds me of my summers with all my friends as a camper. My favourite camp food is called Banana Goodness at my camp! It’s Vanilla Wafers crushed on the bottom with banana pudding (with real bananas in it) and topped with whipped cream! It’ is the best camp dessert we have! While that is my top favourite, I LOVE all of our camp food! My camp doesn’t have a cheer or chant, but we sing songs on a nightly basis as a camp. So I’m substituting my favourite camp song or two! My favourite camp songs are ‘I See the Moon’ and ‘Linger’. I couldn’t think of something I say a lot so I asked a few fellow counselors and they all answered, “you say ‘take a buddy’ or ‘pop a squat'”. So I guess those might be my favourite camp expressions that I say. 10. How has camp influenced you/who you are/what you do? Again as cliche as it sounds, camp has made me who I am today. I have been able to experience so many things throughout my summers. Because of camp I have made MANY new friends that I am still friends with to this day. Because of camp I have found my real self. Because of camp I was able to decide on my future and what to study in college (Special Education). Camp has also influenced me in many other ways. 11. What is the BEST thing about being a summer camp counselor? I don’t think there is just ONE best thing about being a camp counselor! But if I was forced to pick one it would be that you are being paid to be a ‘big kid’ for a whole summer. There is nothing better than that. You get to play all day long, get as dirty as you want, and you don’t have to care about what people think about you, because everyone else is playing as hard as you and is just as dirty as you are. 12. What’s the WORST thing? Despite the lack of sleep and showering, I don’t think there really is a worst thing about camp. Everything seems great at camp when in the real world it might be terrible. 13. What is the most important thing that camp has taught you? Camp has taught me to take chances and experience new things. Camp provided these for you without you even having to work for them. Camp has also taught me to never take anything for granted because one summer will be the last summer you spend at your true home. 14. Anything else you want to say to people thinking about working at summer camp? JUST PLAIN DO IT!!! You won’t regret it. I have never talked to anyone that comes on as a new staff member or as a new camper that has ever wanted to leave. Often it is the exact opposite, that they are sad that they might not be able to come back the next summer. 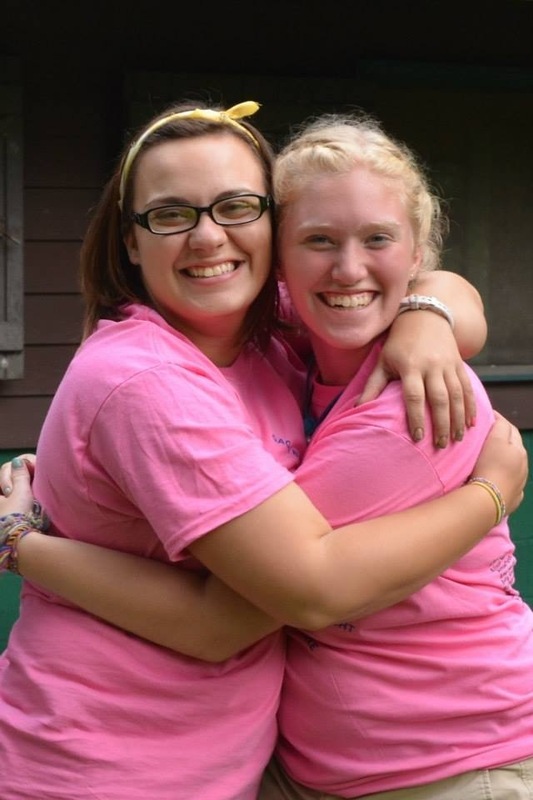 Working at camp is the best thing you could ever ask for! If you have your doubts or questions please feel free to get in touch with me!